What Can You Expect from the NYC Bagel and Sandwich Shop Franchise This Fall? 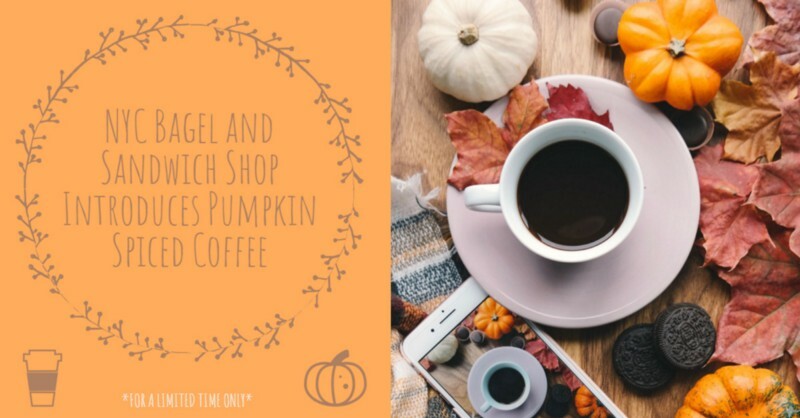 The Joe Smith NYC Bagel and Sandwich Shop Franchise is introducing an “ALL NEW” menu item during this fall season. The Pumpkin Bagel. At NYC Bagel and Sandwich Shop, we know the demand for a fresh bagel is growing with each day. What’s better then a fresh baked bagel and pumpkin mixing together? “Sounds too good to be true. Once I tried it, you made me a believer! BEST BAGEL EVER!” is something we have heard from a satisfied customer (John Williams) who has sampled the all new Pumpkin Bagel. Previous NYC Bagel Franchise Reviews: The Secrets To This Bagel Franchise!